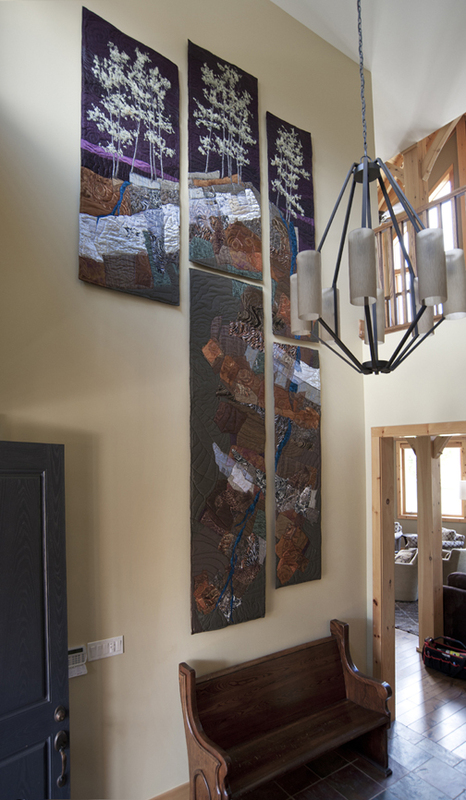 This large 5-panel wall hanging was installed in September, 2012 in the foyer of an Ontario chalet located near Georgian Bay. The owners requested a view of our beautiful Niagara Escarpment, part of which can be seen from their windows. They had hiked the entire trail from Niagara Falls to Tobermory, a feat that was accomplished over several weekends, a minimum 30-day hike! Since the piece would be seen from several levels, from entance way, going up stairs, and from the second level, it was important to make sure that the eye would be rewarded from every perspective. The textured and patterned rock fabrics were cut in wide slices, as the rocks are in life. 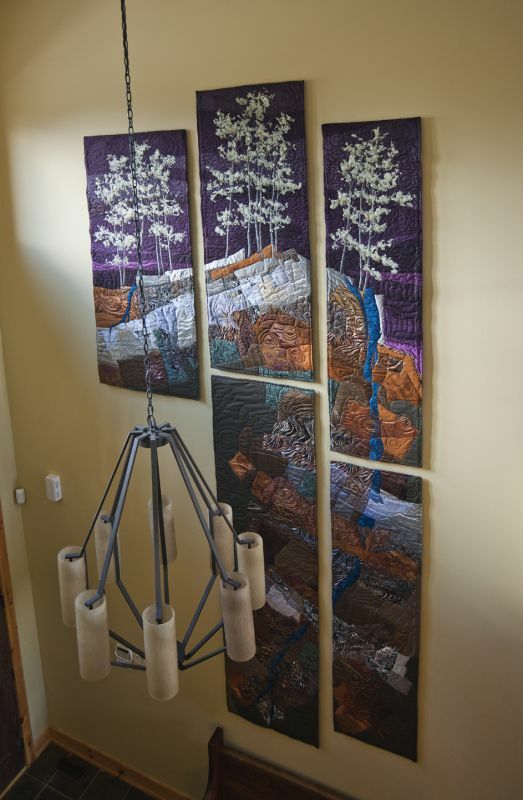 I used a variety of shiny fabrics to represent water, which runs constantly from crevices all along the escarpment. For the trees, I chose Aspen, ubiquitous all along the top of the trail and especially common in the area of the clients' chalet. For the season, I chose spring. Each panel is supported by a hidden wood frame that is bracketed to the wall, a system that makes them easy to remove if necessary. 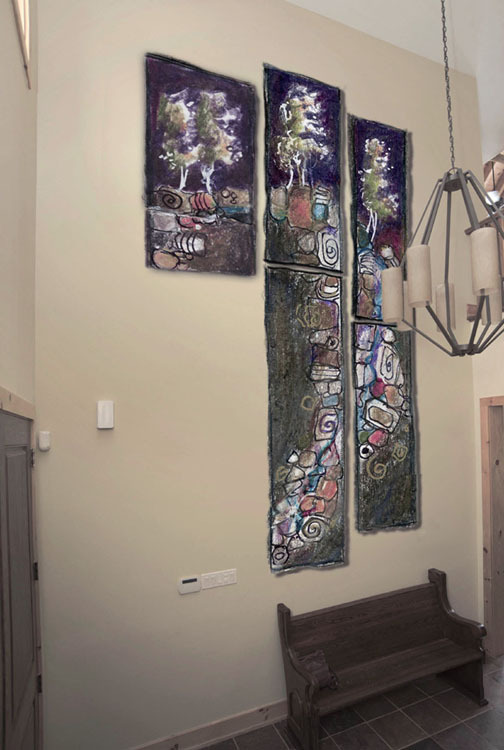 Here are two photos of the installed piece. The wall is 21 feet high and 11 feet wide, and the hanging is 13 1/2 feet tall and 7 feet at the widest spot.